4Scarrs Gaming - Canada's Leading Video Game Blog: Best Buy Plug-in Blog: Comparison of 3 ASUS monitors, which one is right for you? 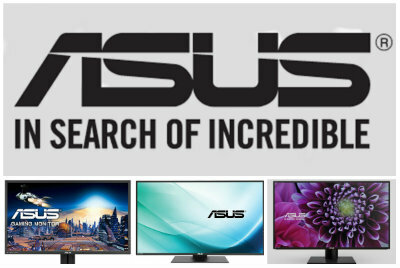 Best Buy Plug-in Blog: Comparison of 3 ASUS monitors, which one is right for you? A computer monitor is one of the most important pieces of a computer. Let's stop for a minute and think, the monitor you use heavily influences your overall computing experience. After all, it is what you will be looking at for long periods of time. Come join me as I compare three ASUS monitors, and together we'll find out which one is best for you at Best Buy Canada's Plug-in Blog.